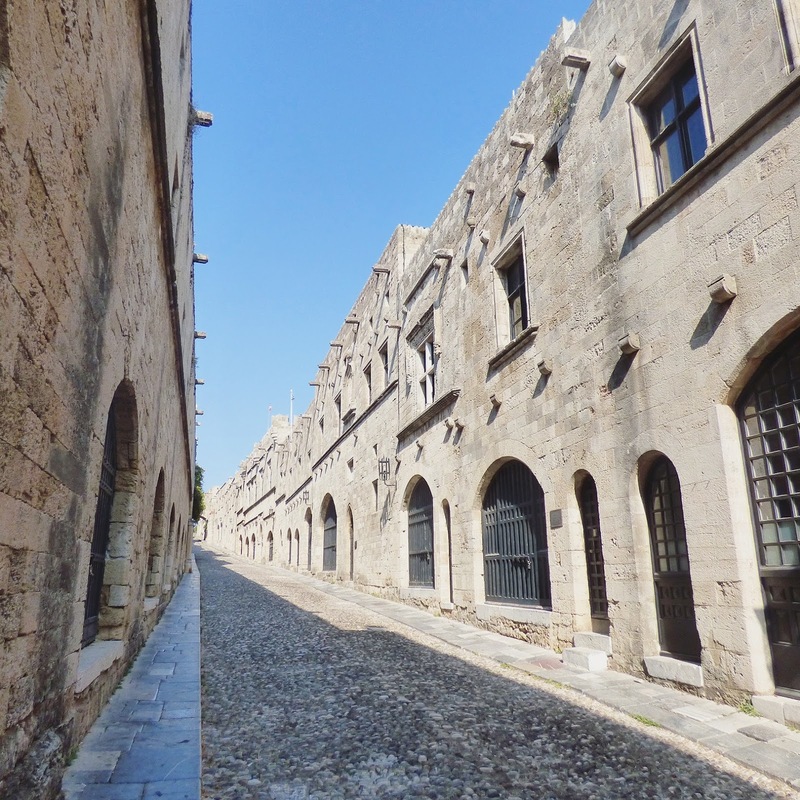 After the island paradise of Mykonos, our next port of call was the historical city of Rhodes on the island of Rhodes. Panoramic shot from the boat showing the awesomely intact fortifications of the city. Selfie time (in the wind lol)! Rhodes is the largest of the Dodecanese Islands and sits at the sunny southeastern extreme of Greece, just 11 miles from Turkey. 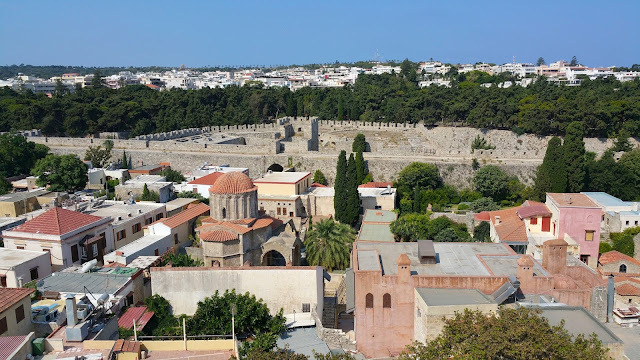 As a long time bridge between the Aegean islands and Asia Minor, Rhodes is an exotic cultural mash-up of Greek, Turkish, and Crusaders from all over Europe. 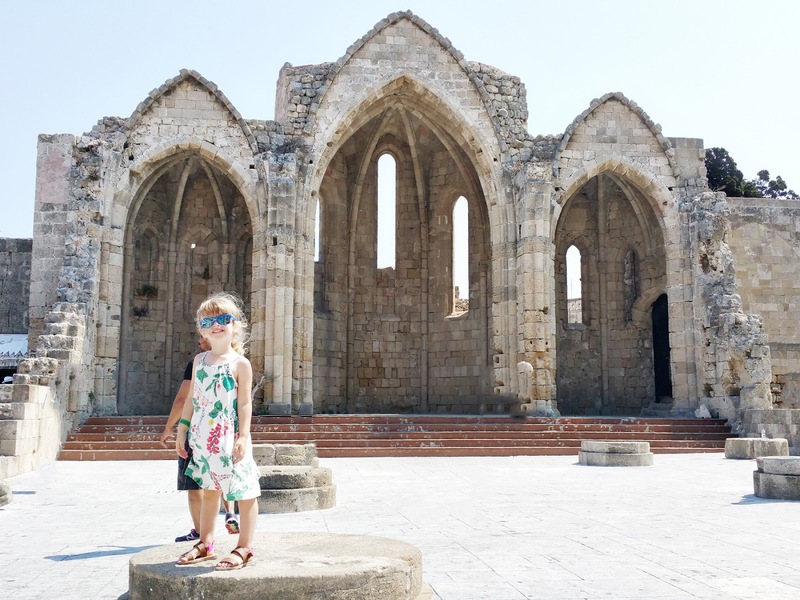 The main town of the island is also called Rhodes and has a population of 80,000 people, but feels smaller and more intimate. The heart of the city, the old town, is surrounded by 3.5 miles of 40-foot-thick medieval walls. In the Middle Ages, as the nearest Greek island to the Holy Land, Rhodes became a common stopping point for passing Crusaders coming from all over Europe. 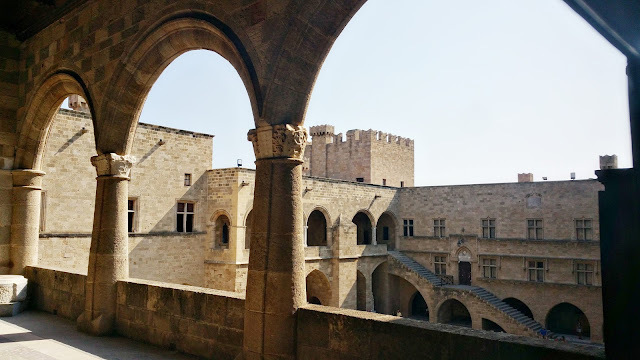 In 1309, the Knights Hospitaller of Jerusalem claimed Rhodes as their headquarters and transformed the town into a bustling medieval burg. One of the most interesting streets is Ippoton Street, also known as the Avenue of the Knights. Leading downhill from the palace, the street is like a medieval EPCOT. The Knights of St. John were divided into seven separate language groups, each one assigned to defending a different section of wall. Each group lived in an inn on this street that re-created the home they left behind. To this day, the Spanish order's inn still feels like Spain, the German's order resembles a German fort, and so on. So fascinating! It was a pretty warm day as we were exploring so Jane cooled off with Chris' Mtn Dew and Fox enjoyed an ice cream. We had a little trouble finding the entrance to the Palace of the Grand Master, but it allowed us to see some of the moat and gardens below the palace. Medievally cool. 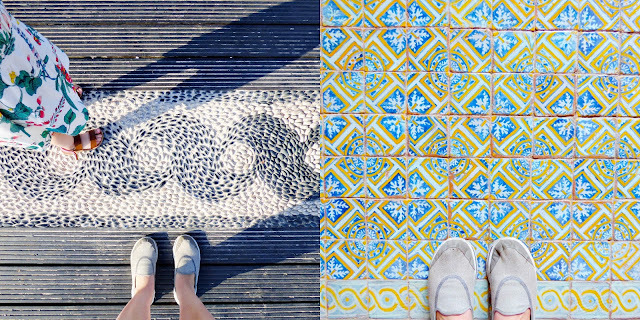 Details from our explorations. Eventually we were able to find the Palace of the Grand Masters so we bought some tickets and dove in. The palace is set at the highest point in the hilly town and, like everything else in this area, is layered with history. 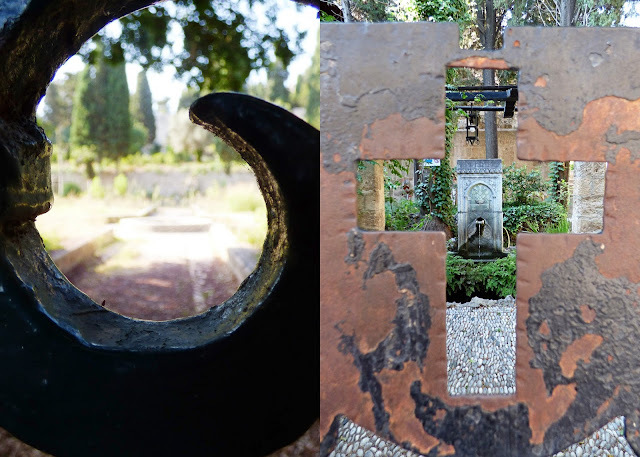 In the 14th century, the Knights of St. John added on to an existing Byzantine fortress to create a residence and headquarters for their leader, known as the grand master. That building was largely destroyed during Ottoman times in the nineteenth century when artillery that was stored here accidentally exploded. Whoops! When the Italians took over control of the island in the early 20th century, they thoroughly restored the palace and even upgraded it in parts to make it a fitting island retreat for their king, Victor Emmanuel III. There was a special exhibit in one wing of the palace about Lord Horatio Nelson that included some super cool models of some eighteenth century warships and the like. The kids loved 'em. Fox! Stay away from the edge! No railings in this medieval palace! The main staircase leading up to the second floor. Floor details. The lovely main courtyard of the palace. I spy a darling little Jane! Down the street from the palace is the medieval Roloi clock tower. Chris hiked to the top for some views. Views! In 1552, Ottoman Sultan Süleyman defeated the knights and the Ottomans subsequently controlled Rhodes for centuries and erected mosques, minarets, and Turkish baths throughout the city. Fortifications. The main shopping street, Sokratous, is the closest thing you'll find to a Turkish bazaar in Greece. The street is lined with hole-in-the-wall shops spilling out into the cobbles. 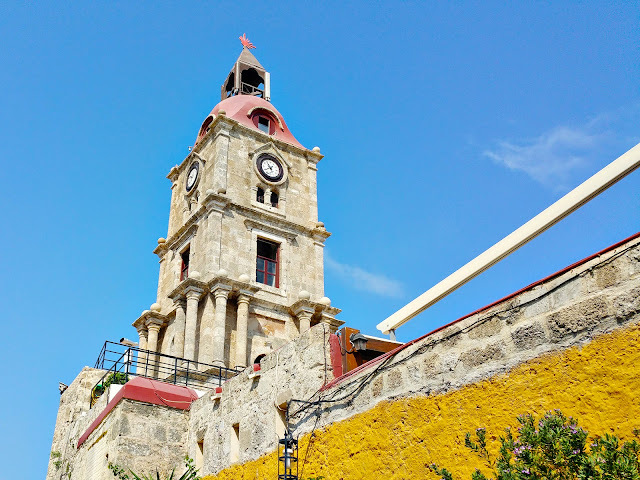 We eventually left the walled old town and walked out along the pier towards the fort of St. Nicholas. Looking back towards the town from the pier. Jane in front of ruins from a medieval church. She's cool. Our family in Rhodes, Greece on Sunday August 28th 2016. About halfway done with the cruise :) Next stop: one of my major bucketlist cities: OIA, SANTORINI! 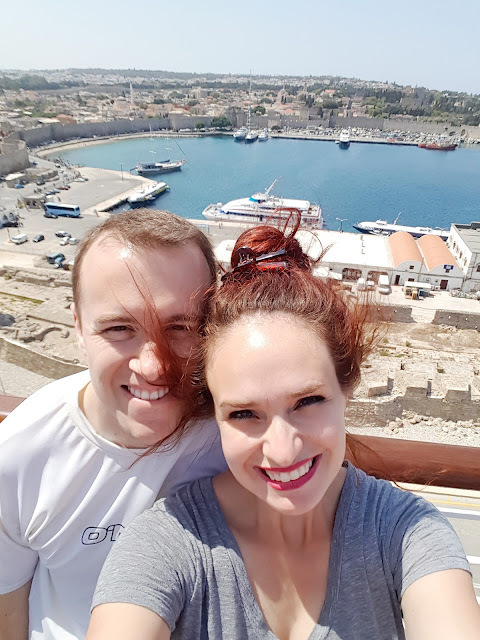 Yes it was hot, but I really liked Rhodes! It felt so medieval!